Imagine a world without street Children, where each child is safe guarded and have access to all the basic human needs. 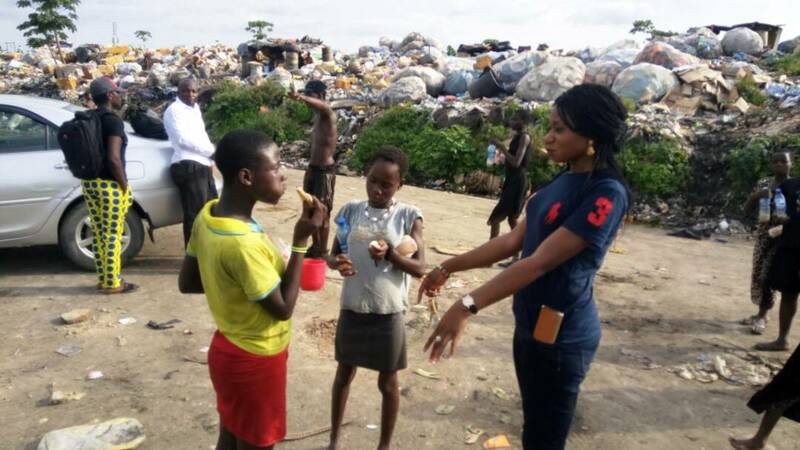 What you are about to read is the experience/story of SELL Foundation on her encounter with street children in Nigeria, particularly the Skolombo Children in Calabar cross River State ,Southern part of Nigeria. Street children are a term for children experiencing poverty (homelessness) who are living on the streets of a city. It is a very controversial issue to talk about, the definition of street children is debated on by different people , but many practitioners and policymakers use UNICEF’s concept of boys and girls, aged under 18 years, for whom “the street” (including unoccupied dwellings and wasteland) has become home and/or their source of livelihood, and who are inadequately protected or supervised. “Skolombo” is the name of these children in Calabar and have been in existence long ago, at the start they were harmless but later grew and became a threat to the society. Based on interview, the major origin of the skolombo could be traced to the family and the Church. In the Families, some are branded witches and wizards, as a result, some parents throw those children into the street where they grow up and learn the street life. Some of them are of single parenthood, whereby, the mother is not capable of taking care of them; hence the child ends up in the streets doing all sort of job as well as criminal activities; they are within the ages of 8 and 15. Bothered by this hazard, which poses a danger to a strong society propelled SELL Foundation to have a day of Peace Talk with Skolombo Children as a support to the ongoing intervention by the youth of St. Patrick’s Missionary Parish, Ikot-Ansa , Calabar who goes there to feed them every Tuesdays and Fridays by 3pm amongst other programmes. The Peace talk focused on the need for them to become Peace Makers in all life situations they encountered and a way forward out of their present conditions. 30 percent of these Children are willing to live the street Life. “I want to live the place; I want to move forward “as declared by Grace, one of the Children. It was quite challenging to interact with these Children. Initially they claimed they are all from cross Rivers, but we discovered later that some of them came from Akwa Ibom, Ebonyi and Rivers States, respectively. This brings to bear the significance of setting a conducive atmosphere before engaging them and the need for our work in Self Awareness become more evident particularly the areas of KNOWING ONESELF AND RIVER OF LIFE. This was used as entering point to get the Children talking and sharing their life experiences. In the end, a lot of learning’s were gathered such as to know where one is headed, there is a need to evaluate the past, Present and the Future as well as set positive dream and strive for Peace in all live situation. Street Children wherever amount to societal shame as children of school age roaming around the street corners pleading and doing tedious jobs to live, whereas their mates are in school. stirred by these situation, the SELL Foundation challenged the Youths of St. Patricks Parish, Ikot Ansa to continue with the Project of rescuing the Street Children not only by providing Feeding and clothing but to as well offer them life Building Skills and Partner with other like minded bodies in order to rescue the Skolombo Children from Street Life. The Youth started this project as an action plan that emerged from a Sell Workshop done with the Youth in the previous years. a world without street children is beyond what a single organization can do, therefore, Rescuing street children is everyone’s business and SELL is committed in taking steps towards that direction as evident by the scope of her work with Youth and vulnerable groups and more recently with Skolombo to ensure that they contribute their quota to bring about positive change. But this is not enough, It will inevitably evolve as both government agencies, nongovernmental and individual begin to set up structures and plans on building and sustaining Peaceful Communities. This goal can only be realized through continued dialogue, Lobbying and advocacy among different structures in the Society. Street Children’s rights to live and equal opportunities most be upheld by all. Experience has shown that there can be no significant, sustainable development of the nation where there is no equal opportunity for all. No wonder seers (1969) said these questions must be answered before we can say we have a developed society and I quote” What has been happening to inequality, what has been happening to Poverty and what have been happening to unemployment? These children are affected by these factors and that is why for us to have a developed nation we need to safeguard every child and rescue the street children. Rescue a street Child a hope for the future of Nigeria and the world at large. Street Children are not only found only in Nigeria rather a global phenomenon that all countries are contending with. Based on reports, governments of various countries have implemented programs to deal with street children; which includes placing the children into orphanages, juvenile homes, or correctional institutions. In Colombia, the government has tried to implement programs to put these children in state-run homes, but efforts have largely proved abortive, and street children have become a victim group of social cleansing by the National Police; because, they are assumed to be drug users and criminals. In Australia, the primary response to homelessness is the Supported Accommodation Assistance Program (SAAP). The program is limited in its effectiveness. An estimated one in two young people who seek a bed from SAAP is turned away because services are full. 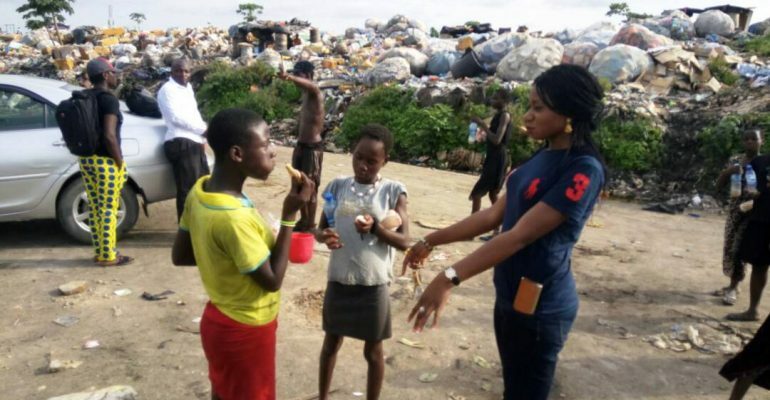 Regarding the Skolombo Children in Nigeria, The immediate past Commissioner for Social Welfare and Community Development, Mrs. Inyang Tenderly said, “201 children had been removed from the streets and reunited with parents and families. For the Skolombo boys, the good thing we tried to do is like we are getting adverse result. We rehabilitate them holistically, send them to child centres and reintegrate them. When they are taken off the streets, we stabilize them. Also various Non-government organizations implemented different of strategies to address the needs and rights of street children. One example of NGO effort is “The Street Children‘s Day”, launched by Jugend Eine Welt on 31 January 2009 to highlight the situation of street children. The “Street Children’s Day” has been commemorated every year since its inception in 2009. SELL Foundation is not an exception in this Campaign for the rights of street Children. However, to have a world without street Children is not a ones off intervention but a continuous process that implies moving out of one’s comfort zones to engage with them frequently with different approaches and strategies that are life giving and transforming such Sensitization on the rights and responsibilities and human development. Basically, there are four categories of how societies can rescue street children: Correctional model, Rehabilitative model, Outreach strategies, and Preventive approach. The Correctional model is primarily used by governments and the police. They view children as a public nuisance and risk to security of the general public. The objective of this model would be to protect the public and help keep the kids away from a life of crime. The methods this model uses to keep the children away from the life of crime are the juvenile justice system and specific institutions. The Rehabilitative model is supported by churches and NGOs. The view of this model is that street children are damaged and in need of help. The objective of this model is to rehabilitate children into mainstream society. The methods used to keep children from going back to the streets are education, drug detoxification programs, and providing children with a safe family-like environment. The Outreach strategy is supported by street teachers, NGOs, and church organizations. This strategy views street childrenas oppressed individuals in need of support from their communities. The objective of the Outreach strategy is to empower the street children by providing outreach education and training to support children. The Preventive approach is supported by NGOs, the coalition of street children, and lobbying governments. They view street children’s poor circumstances from negative social and economic forces. 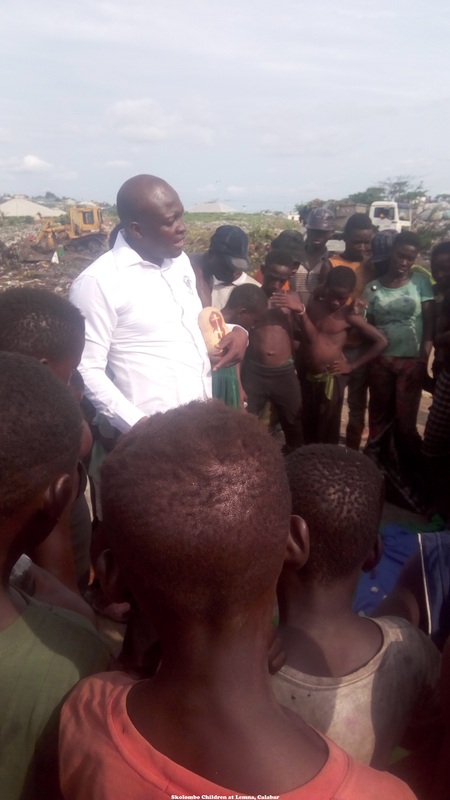 In order to help street children, this approach focuses on the problems that cause children to leave their homes for the street by targeting parents’ unemployment, poor housing campaign for children’s right. in view of the aforementioned problem, SELL foundation is in support of this with particular focus on the rehabilitative and preventive approach through awareness creation on issues affecting the lives of Youths and vulnerable groups in the society. There is great satisfaction in helping Young Adults to find a richer and deeper meaning in their lives and helping them to grow as persons and as members of the local and global Community. Therefore, it is essential to help the street Children to develop a Personality that combines a profound sense of Justice with a capacity to address conflict without arrogance and been productive in the society. The young people (youths) of this country are a critical group of people and assets to the development of this Nation. The population of Nigeria as at 1st January 2017 is estimated at 189,559,502 people, out of this number, young people between the ages of 18 and 35 make up about 65% of the total population. (Source: Population projection by UNFPA 2017). The Skolombo Children falls within this category and when we put measures in place to rescue the street Children we are contributing to the attainment of the Sustainable Development Goals of reducing inequality, building peace, justice and strong institutions, combat climate change and its impact, promote inclusive and sustainable economic growth, employment and decent work for all by the year 2030. A society without street Children will be a healthy society. SHARING EDUCATION AND LEARNING FOR LIFE (SELL) PROGRAMME.